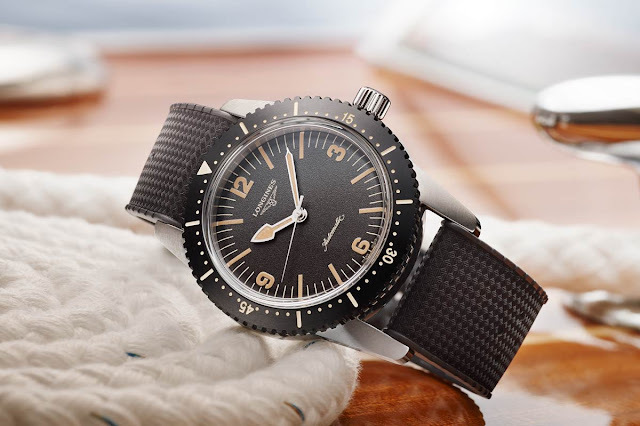 The Longines historic collection has always been an exceptional source of inspiration for the creation of new models, especially for the Heritage re-editions. 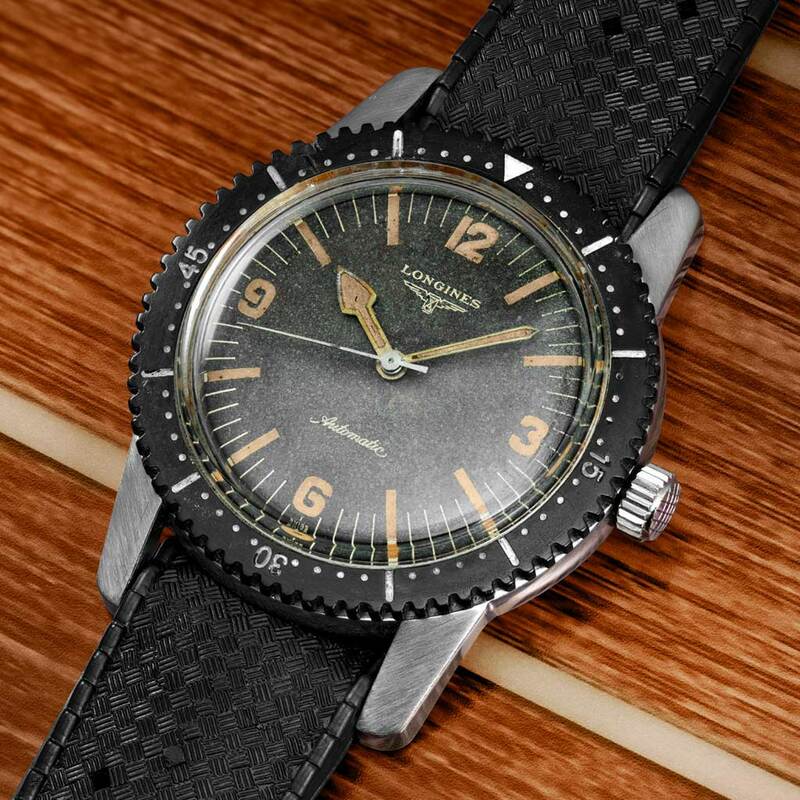 The Saint-Imier watchmaker is now bringing its first diver watch - a 1959 timepiece - back to life with the new Skin Diver Watch. 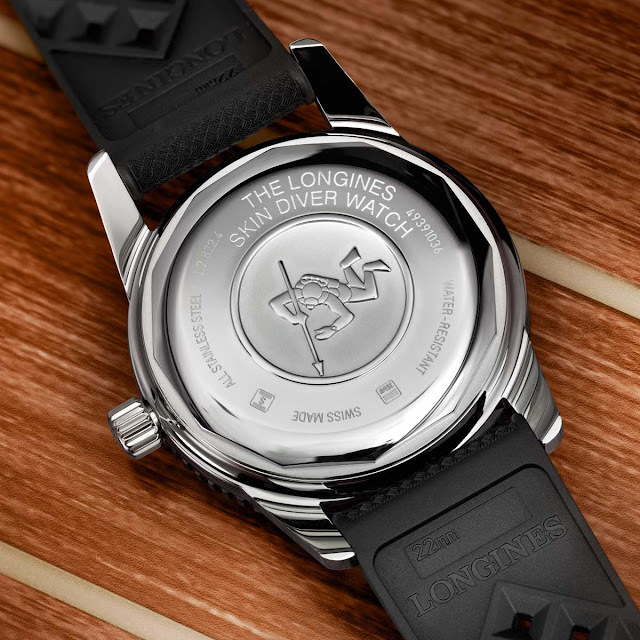 The new model preserves the clean lines of the original model while offering high-performing, contemporary technical features such as sapphire crystal, a screwed-in crown and back for water resistance up to 300 metres / 1,000 feet, and a highly reliable automatic L888 calibre, produced exclusively for Longines. 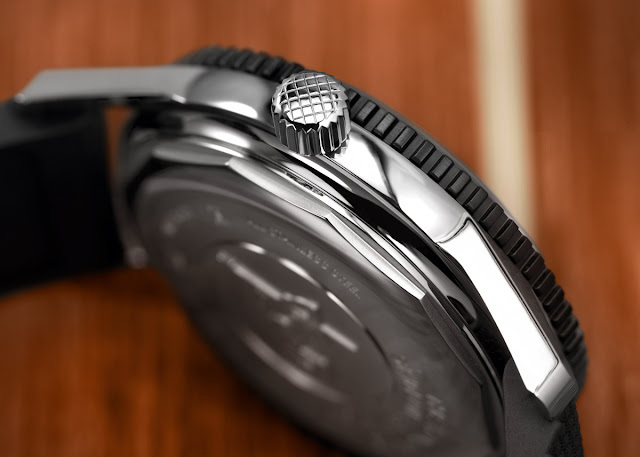 Based on the ETA A31.L01, this movement beats at 25,200 vibrations per hour and offers a power reserve of 64 hours. 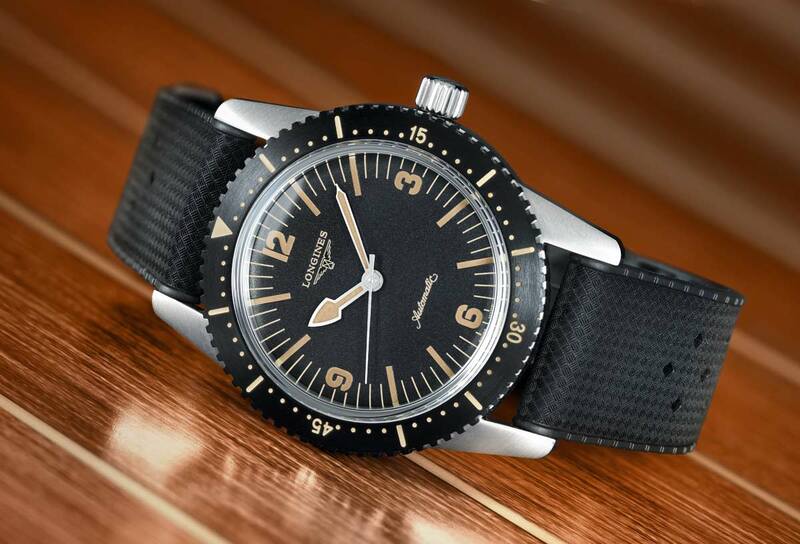 The 42 mm stainless steel case is equipped with a unidirectional bezel coated in black PVD and enhanced with markers and a luminescent triangle which can be used to calculate immersion time. 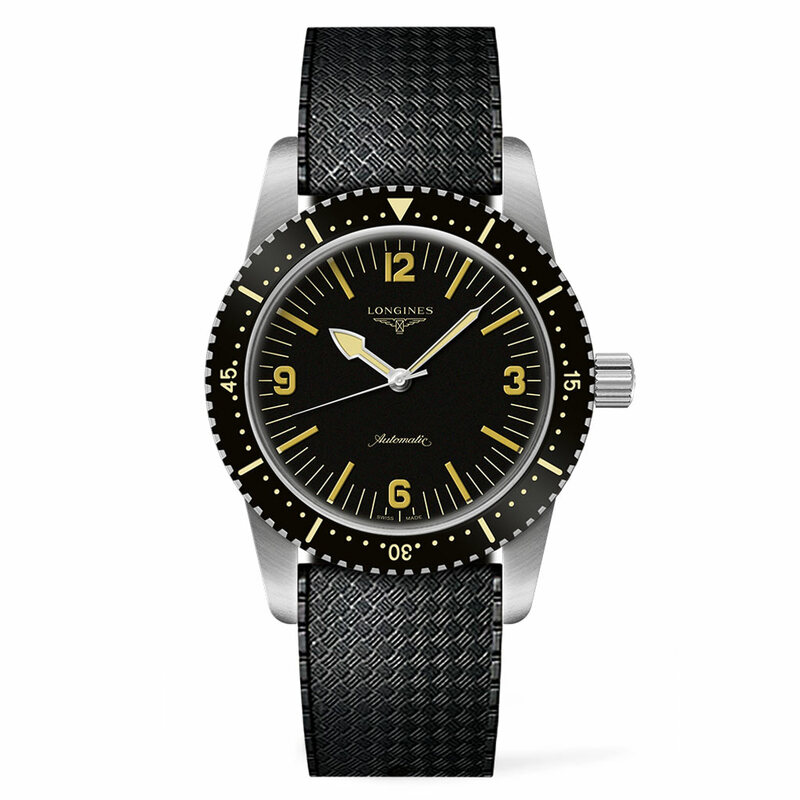 Protected by a domed sapphire crystal with anti-reflective coating on both sides, the black dial has a beautiful grained finish. Its readability is excellent even in poor light conditions thanks to the Super-LumiNova treatment used for indexes, Arabic numerals and hands. 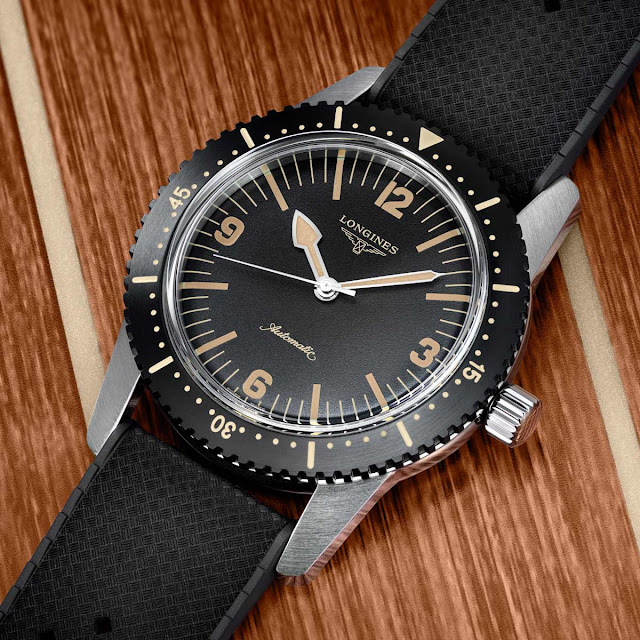 Like the original model, an embossed diver adorns the back case. 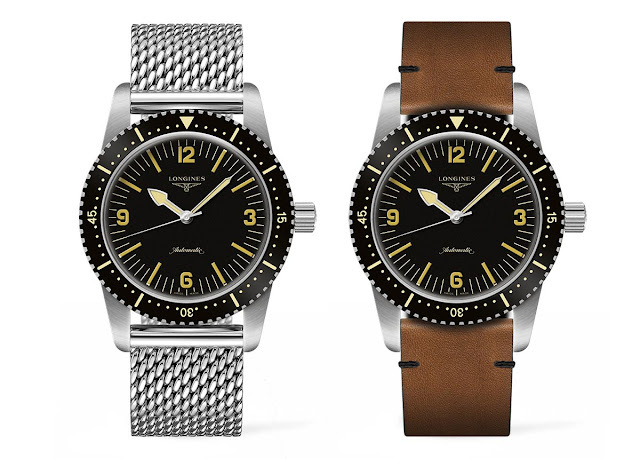 The watch can be matched to a black rubber strap with a criss-crossed finish, a natural brown leather strap or to a Milanese-style steel bracelet with triple safety folding clasp and push-piece opening mechanism.